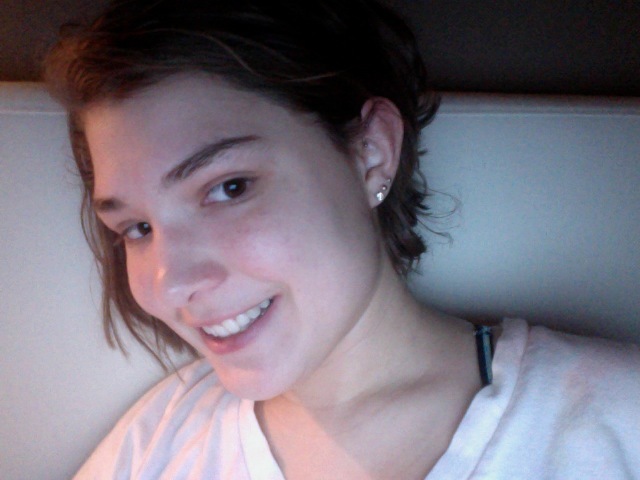 Another Hole In My Ear! I have wanted another earring for a while now, but I was weary because I have very sensitive ears. 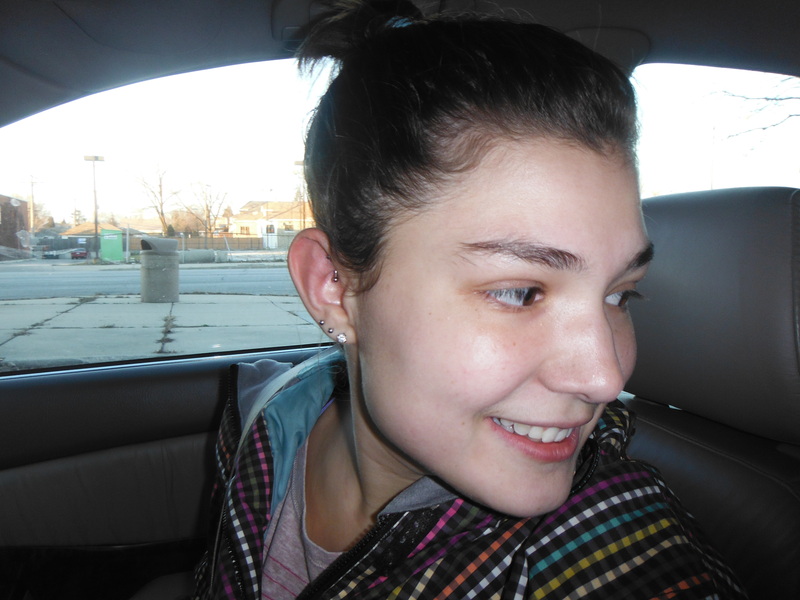 But, Maggie found a deal at a parlor for 12/12/12 $12 piercings. We thought, now or never and jumped on it! I knew that I wanted a rook because whatever piercing I got was going to take a while to heal, but a rook can be flipped in and somewhat protected by your ear. So, I called ahead to let them know I was coming (and to ask what kind of earrings they use to see if my ear would reject it- they use surgical steel, so it’s all good). And we drove down to the north side tattoo parlor, RockStar Ink. I had to sign some papers and they took us up to the piercing room. The smallest size they have for rooks is a 16 gage, which is much bigger than a normal earring, so they have to push more stuff out of the way to get it in your ear. I can say that this one hurt a lot more than the past ones I got as a teenager… Ouch! I have no idea what actually happens, all I know is they use a needle (that I never looked at, so I wouldn’t freak out) and she pushed it through and then pushed my earring through. And I am happy to say that it is healing really well and is just tender now. The redness and swelling is gone, and I am cleaning it like crazy so it doesn’t get infected. I can flip it in my ear to sleep and sleep on that side again (which is great because that is the side I sleep more on). 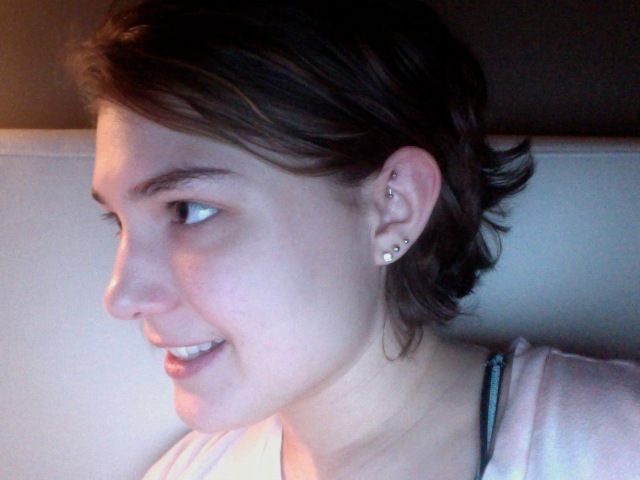 I am loving my new rook!